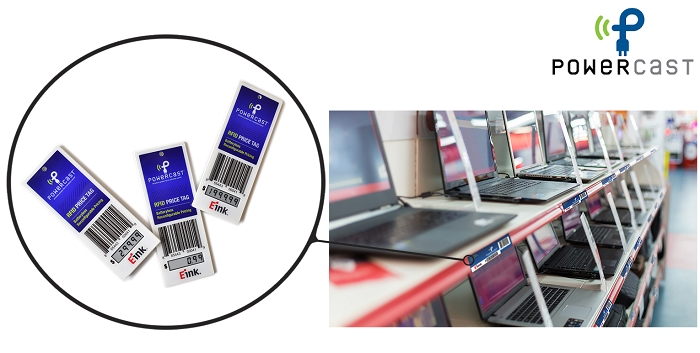 Industry’s First Batteryless Electronic UHF Retail Price Tag Showcased at RFID Journal LIVE! Powercast Corporation, a RF-based power-over-distance wireless charging technology pioneer, has showcased the industry’s first Batteryless Electronic Ultrahigh Frequency Retail Price Tag at the RFID Journal LIVE! event. It is also a finalist for the show’s Best New RFID Product 2018 Award. The demonstration featured Powercast’s RF-to-DC power harvesting technology which can wirelessly update an electronic paper (ePaper) display, sending data and power over the air up to two meters away using a standard UHF RFID reader. Powercast’s technology enables quick electronic price changes, operates perpetually without batteries, and works with typical UHF RFID readers (handheld and fixed). The company developed the concept tag to free retailers from having to change paper labels as well as the batteries required by the industry’s battery-powered electronic price tags – both of which are labor-intensive jobs. An RFID reader can update a whole shelf of product prices within a few seconds. Select the tag(s) to update and the new price in an app on a handheld UHF reader. (Retailers can easily integrate this function into their system.) 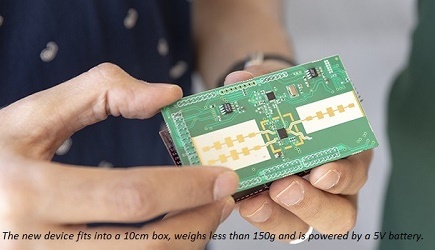 Point the reader at the price tag, up to two meters away, to securely send pricing data and RF energy over the air to Powercast’s tiny PCC110 Powerharvester wireless power receiver chip embedded in the tag. The chip converts RF to DC to power the tag without batteries, and updates the display with the new, authenticated price in a few seconds. The tags don’t need batteries because they can harvest enough power just from a UHF RFID reader to operate perpetually.